This sculpture is at the intersection of Norhill and Bayland. It looks like the top half of this tree was taken down (by wind?) 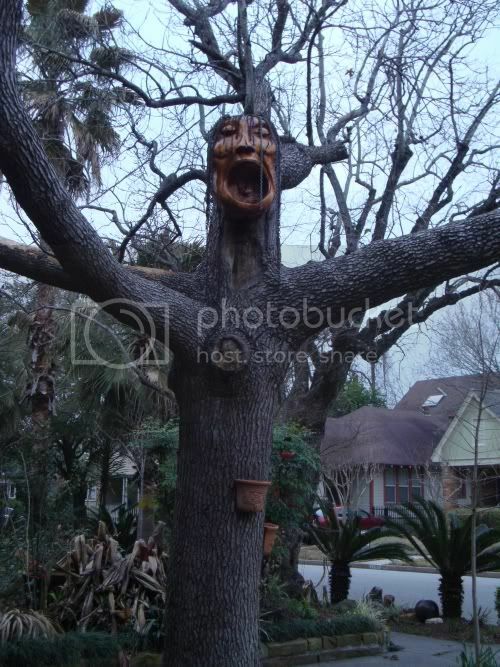 and the homeowners added this demented wooden face to the stump. It has a maniacal look--it's hard to say if it is screaming or laughing. 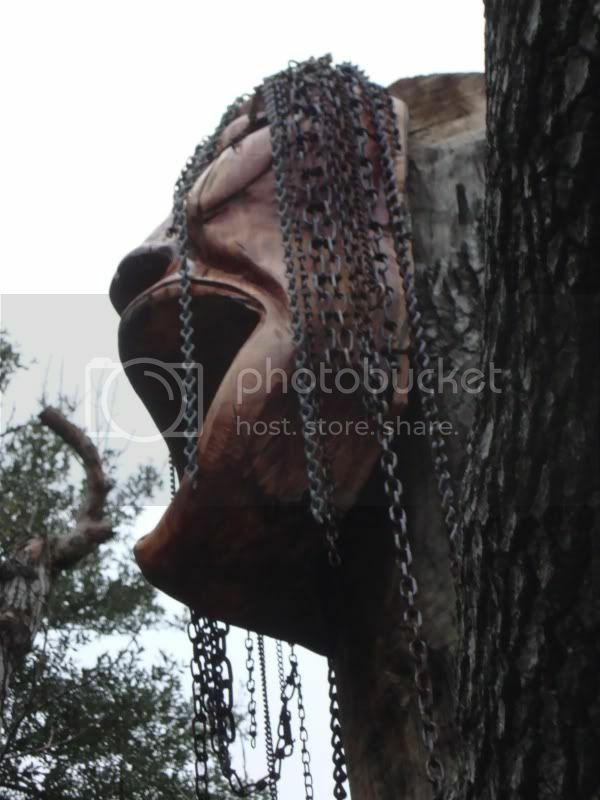 The dreadlocks made of chains give it an extra-spooky appearance. 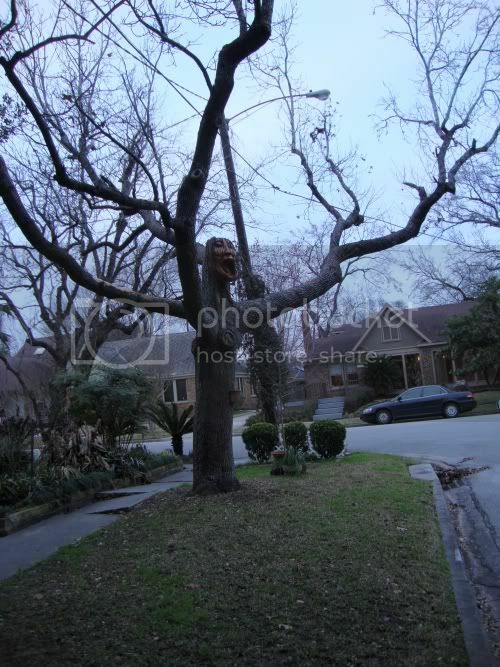 A great Halloween decoration, no? But it appears to be permanent. Perhaps its there to frighten evil spirits away.